I still haven’t gotten over our finds from last Thursday on Kice Island- I’m so thrilled! I finally have more photos of our colorful beauties from that awesome day I posted about a few days ago on Day Trip To Marco Island. I’m always overwhelmed by how beautiful a LACE MUREX can be. I’ve never found such a colorful SPINY JEWEL BOX like this before last week and both sides were still together. Gorgeous. Who knew TOP SHELLS came in so many different colors? These were the best of about ten SAND DOLLARS but not all of them made it back in one piece. All three of these TRUE TULIPS (2 to 3 inches) below were found by Super Sheller Clark. The middle one looks like it was made of dark chocolate. The colors are so much deeper and richer in the Marco area! SAND DOLLARS?!! Oh me and my fam wanted to find one of those so bad! Of course they start showing up after we leave. :) Beautiful tulips and that Spiny Jewel Box is so funky and cool looking! Loving all your pictures so much!! Oh, those tulips are lovely! I’m going to have to start looking DOWN one of these days! I always think I have a ‘favorite’ shell, then I see your great pictures. I’ve decided they are all my favorites. Your beautiful pictures make a cloudy day in Illinois a little more tolerable. I can’t wait to get down there in May and find some wonderful treasures from the sea. That would be my luck..leave the island and have shells piling up as you drive away, couldn’t you just feel them pulling you back??? But oh my goodness! What a gorgeous lace murex! It’s amazing how something so intricate and delicate can wash up on shore. I can’t wait to see what you find after all the wind and storms! love that spiney jewel box!! as always, thanks for sharing. Gorgeous! Love the chocolate color! Have fun shelling. Hi Pam, Here we are on Sanibel staying near the lighthouse and having such fun! Went to Blind Pass Sunday afternoon and one of my sisters found a lovely flat scallop and a perfect wormie!…then yesterday my other sister found a smaller very nice flat scallop in the same spot! We loved digging in the shell pile for tons of kittens paws, some of the biggest we’ve ever found. 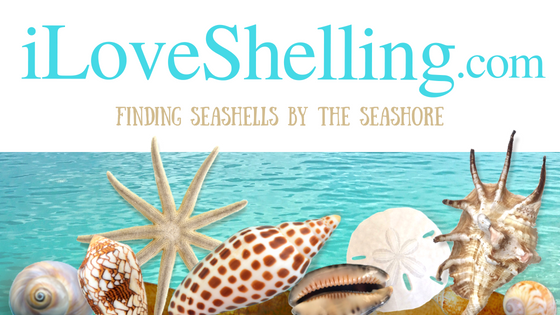 I’ve been wearing my iloveshelling t-shirt and telling people on the beach to check out your wonderful blog. Are your t-shirts available anywhere on the island? Wow… there were huge storms yesterday/last night….. Has anyone seen what is on the beaches today (Wednesday)? I havent seen anything yet. Nuttin honey. And the “spines” on the lace murex are completely in tact. Amazing that they tumble so much and end up on the beach in perfect condition. I’d love to see you on the beach! I’ll bring tee shirts if you want. So glad you showed the color wheel. They are so pretty. We are going to Blind Pass this morning (Thursday) …will be there about 11:30 … do you have size 2X or 3X, an XLarge and 2 Larges? I’m wearing mine so you might remember me and I’ll be with our 93 year old Mother and 2 sisters. This is a slow computer here at our condo so hope we connect! Just wanted to say Hi and introduce myself. I’m your newest follower :) I live in northern Michigan and Iwill be visiting Sanibel mid-March. Its our first visit ever. I’m so excited I found your site. We LOVE shelling! !